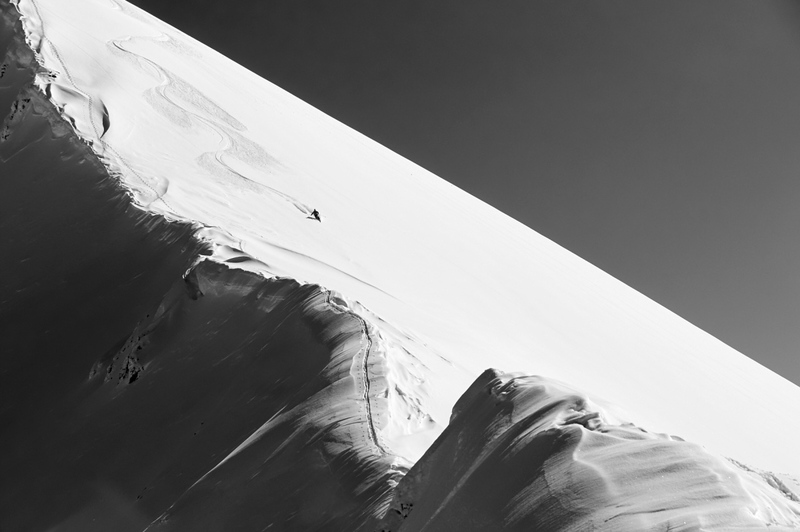 Spectacular photographs by the British ski legend Konrad Bartelski go on display in London next week, in the former downhiller’s first exhibition. 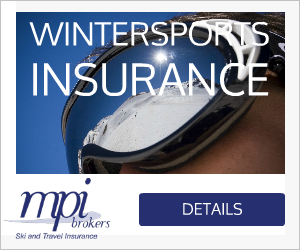 Around 35 large-scale images will feature in the show at Wimbledon Fine Art Gallery, all of them from Konrad’s ski touring expeditions of the past decade. 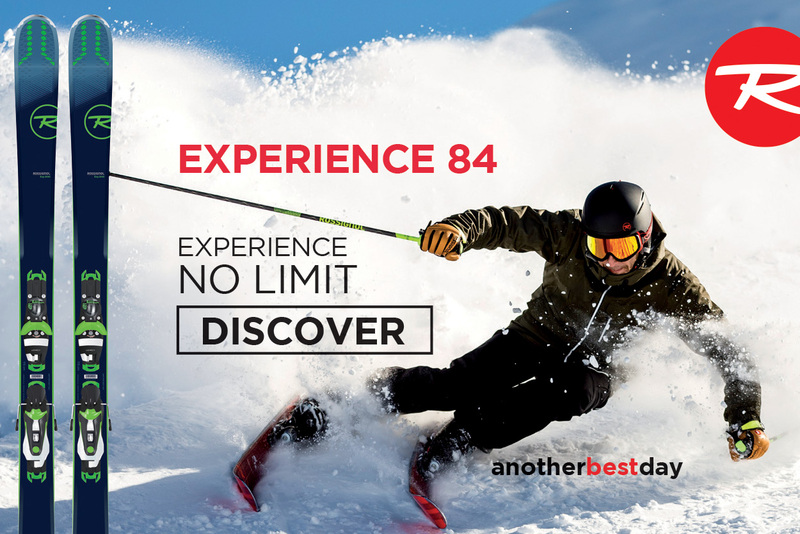 It is something I always wanted to do, yet it was only after this winter that I felt I had managed to capture what best expressed my work,” says Konrad, who became a household name in the UK and on the downhill circuit after his historic second place at Val Gardena in 1981. Though he has always been a keen amateur photographer, Bartelski’s ambition escalated ten years ago after he invested in a better camera for a touring trip to Lyngen Lodge in Norway. 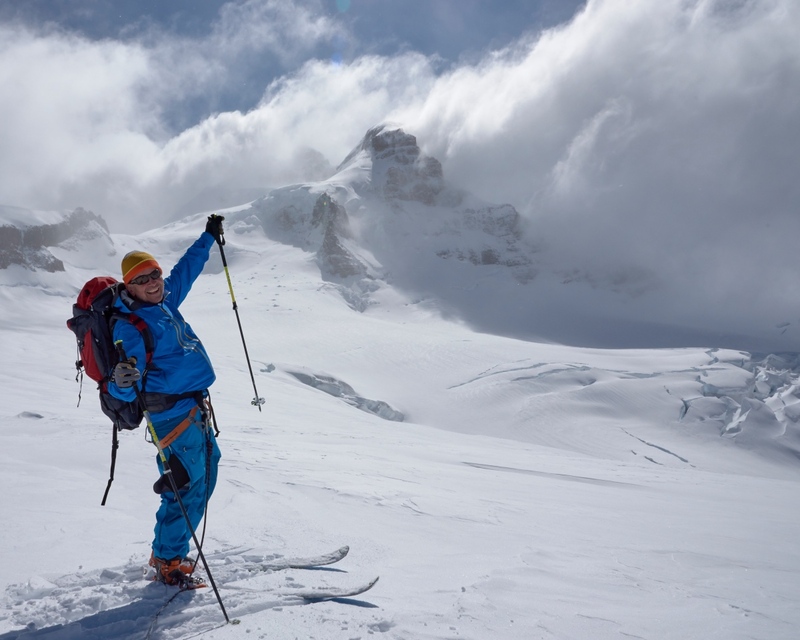 Countries from Norway to Kyrgyzstan to Argentina feature in the photos: Konrad has been ski touring on every continent except Antarctica (which he hopes to add this December). The exhibition’s theme is “My Key to the Secret Garden” – a reference to the mountain guides who unlock the doors to their own secret gardens, the mountains Konrad has been able to explore. To produce the large-scale prints in the exhibition – the largest will be 80x56in, framed – Konrad has hauled heavy cameras and lenses on tour. The main photo shown above – entitled The Lines – was taken in Ólafsfjörõur, Iceland, after a long skin up. Konrad’s group had stopped for lunch when another guide skied down from the summit and the ex-racer’s lens was able to capture the moment. Fall-Line can’t wait to see the whole collection and hotly anticipates a brilliantly timed pre-season dose of inspiration for some series exploring in 2018/19. Meanwhile the Alpine artist Janet Johnson has completed her largest commission yet – a giant watercolour inspired by Canadian tree-skiing that took eight months to create. 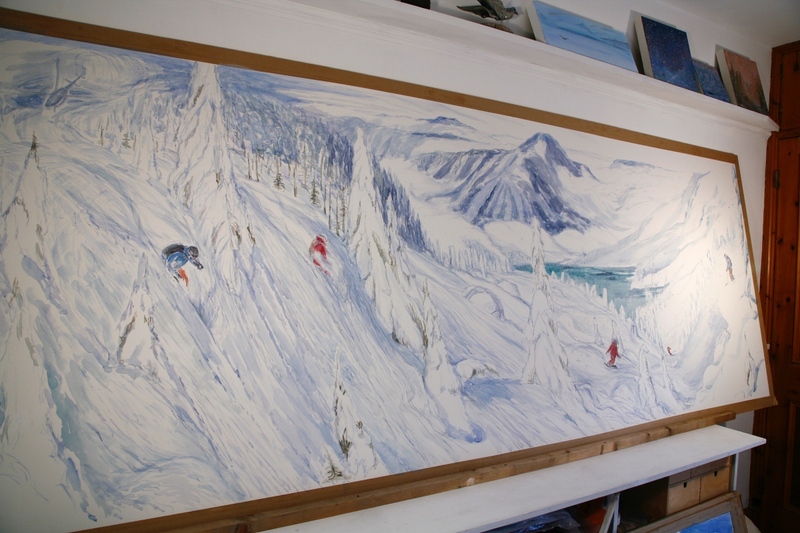 Janet, a keen ski tourer whose paintings can be found dotted around Alpine haunts, including stops on the Haute Route, as well as on ski-mad clients’ walls, undertook the piece as a commission for an American client after an especially wonderful experience tree-skiing in the Monashees in Canada. 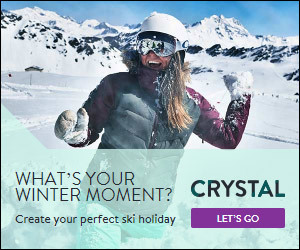 says US-born, UK-based Janet, who learnt to ski in Pennsylvania and now has tours such as the Ecrins Haute Route and the Spaghetti Tour under her belt. They chose watercolour as the medium, and the client pointed out other paintings she liked from Janet’s website. But the real challenge would be the size: 1.2m by 3m, a scale Janet had done in oil but not in watercolour. Watercolour is brutally unforgiving – everything must be carefully woven together, in real time, with no mistakes,” explains Janet. “The painting required a large board to stretch and glue down the watercolour paper, then it was propped up in my studio. I made several life-size sketches and smaller studies focusing on snow mounding on trees, snowboard stances and snow flying up in a cloud from helicopter lift-offs. The first outlines were laid down in pale cerulean blue. I had to charge up a brush with enough paint and water to last a metre-long brushstroke, without excess dribbling down the paper, to depict the surface of powder snow in the trees. The deep-snow texture was made by adding long strokes in different blues in layers over several days. The white of watercolour paper is whiter than any paint so I paint it to make the snow surface appear to sparkle and ripple. I often walked the whole length of the paper with one brushstroke. During the eight months’ work Janet sent monthly photo updates to her client, who has hung the finished painting in a penthouse loft in Manhattan. A small selection of Janet’s work is on show at Fosse Gallery Artists Christmas Exhibition, Stow-on-the-Wold, Gloucestershire, 2-29 December.